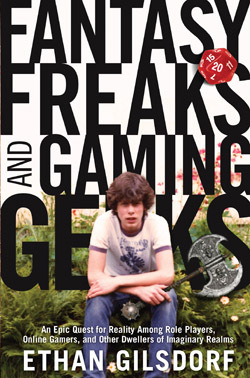 Fantasy Freaks and Gaming Geeks Contest Deadline Extended! We’ve got some great poems entered in our contest for a chance to win one of five copies of Ethan Gilsdorf’s book Fantasy Freaks and Gaming Geeks. And good news if you’ve not yet entered: we’re extending the deadline until this Friday, November 19th! You can read the whole article, and interview, with Ethan here. Leave you poem in the post’s comments for a chance to win! ← Will The Baffler Puzzle Baffle You?